Success used to mean a decades-long job, a predictable paycheck. But that’s changed. 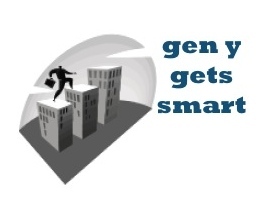 Gen Y can’t be tied down. Sheila Marikar of the New York Times says millennials define themselves by “the forward slash.” She profiles, for instance, a forensic psychiatrist who doubles as a D.J. ; a lawyer who also acts in the TV series “How to Get Away With Murder”; and an admissions officer who spends his spare time as a workout instructor. “Unlike the legions of Americans who work several jobs out of necessity,” Marikar writes, “[some millennials] elect to stretch themselves thin. While one job usually pays the bills, another gig provides a more creative outlet.” For those of us with practical careers and impractical passions, this makes good sense. Arguably, job-hopping gives millennials a chance to experiment and stumble upon the career that, in the end, could suit them best. Now, if you’ll excuse me, I’ve got to run off to my third job. ‘Tis the season…Do millennials give?